Hartford, Conn., January 21, 2015: Leticia Colon de Mejias was honored by Latinos United for Professional Advancement (“LUPA”) as a special recognition for the 50 Most Influential Latinos. The official award ceremony will be held in Hartford, CT on Feb 5 2015: https://twitter.com/LUPA_CT. Nominated by her peers, Leticia was one of 50 recipients to receive statewide recognition for making a tremendous impact as a Connecticut Latino professional. LUPA seeks to raise the profile of the Latino business community in Connecticut, while offering ways for Latino professionals to interact, provide development and support to one another, and socialize in a professional environment. LUPA showcases the powerful Latino community that exists in Connecticut and brings visibility to key individuals in the Latin community. Mrs. Colon de Mejias is the CEO of Energy Efficiencies Solutions, a Connecticut-based, national award-winning Energy Conservation and Efficiency contractor for residential and commercial buildings (www.eesgogreen.com). She is also President of Green Eco Warriors, Inc. (www.greenecowarriors.org), a nonprofit focused on youth sustainability and leadership development. She is a notable Latina author (http://www.barnesandnoble.com/s/leticia-colon-de-mejias) and is also the Principal of BEST Insulation of CT (www.bestinsulationofCT.com). Mrs. Colon de Mejias has dedicated much of her life to environmental protection, workforce development, education, and the support of socioeconomic equality. She is a board member on Connecticut’s Energy Workforce Development Consortium, Hartford Adult Education School Governance Council (SGC), and Hartford STEM School SGC. She is the author of Dinero the Frog Learns to Save Energy, Defeating the Phantom Draw, Pesky Plastic, Over the Moon and Past the Stars, Hip Hop Y la Pared, Butterfly Rhythm, Mrs. Busy Bee, the Green Eco Warriors: Fight For Our Planet comic book series, and the Your Educational Success Workbook series. Mrs. Colon de Mejias was employed by Hartford Hospital for 16 years where she developed and implemented several workforce programs. She was the recipient of multiple awards for workforce development and community engagement with the population of the Greater Hartford area, including the 2007 Business Workforce Star Healthcare Award in recognition of her valuable contribution to workforce development and enhancing the economic vitality in the North Central region, the 2009 Neighborhood Service – SINA award, for her contributions to the South End Neighborhood Adult Education, community and outstanding service and contributions to the neighborhood and commitment to building a better community (http://www.yesworkbooks.com/YESstories.html). 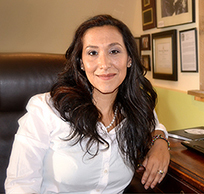 In 2014, Mrs. Colon de Mejias was a recipient of the Hartford Business Journal 40 Under 40 Award. With the support of her companies and the community, she has led several community service projects including the landscaping of Milner Public School in Hartford and the replacement of its playscape, the South Marshall Street Shelter clean up and gardens installation, Energy Efficiencies Solutions Earth Day cleanup of the North End of Hartford, and countless hours of visiting schools and libraries across Connecticut and Massachusetts teaching youth about sustainability and leadership. Energy Efficiencies Solutions (EES) is a Connecticut based full service Energy Conservation Company. They are notably rated number one by the U. S. Department of Energy in the nation for customer service and market leadership. Since inception, EES has remained in the top one percent of CT based Home Energy Solutions™ and Home Performance with Energy Star™ vendors leading the way in MMBTU (energy) reduction statewide. EES offers comprehensive solutions for conserving energy including: home energy assessments, energy usage reports, air sealing, insulation, windows, solar, heating and cooling systems, renewable energy options, energy education, and return on investment coaching for retrofits and energy upgrades. EES is registered with the CT Department of Consumer Protection. They employ Building Performance Institute-certified building analysts. EES uses only state-of-the-art diagnostic testing equipment to identify sources of energy loss in homes and buildings. Green Eco Warriors Inc. provides sustainability education and youth leadership development aligned with national standards. Our lessons take a holistic approach to learning, incorporating environmental, health, and social perspectives in a format children can easily comprehend. Green Eco Warriors Inc. has the unique ability to create character-based curriculums, develop educational tools that are aligned with national standards, and create engaging educational curricula, presentations and videos. BEST Insulation of CT provides expertly installed insulation as part of our Comprehensive Energy Conservation program. Insulation and air-sealing are the most cost-effective investment to increase the comfort of your home, save on your heating and cooling costs, and reduce carbon emissions. Sponsored by State Farm Insurance, Latinos United for Professional Advancement is a networking group focused on bringing Latino Professionals from all industries together for professional advancement and social networking. For more information on LUPA, please visit: https://twitter.com/LUPA_CT.